Easter is coming up fast! 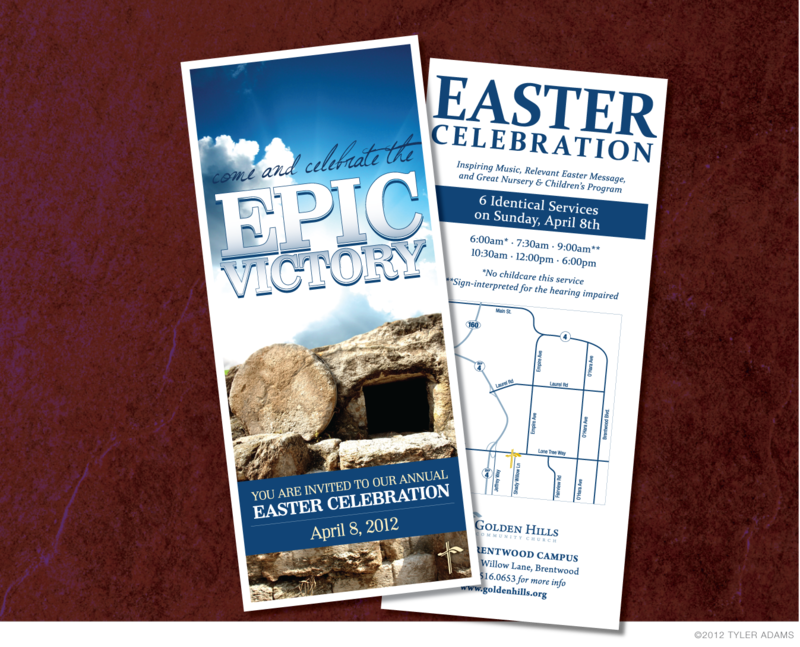 I had to get these flyers out a little earlier than years past because Easter is so early this time. I found this great image of an empty tomb and with a little editing I made it fit great into this year's Easter flyers for Golden Hills.